Preheat oven to 350°. Line baking sheet with parchment paper. 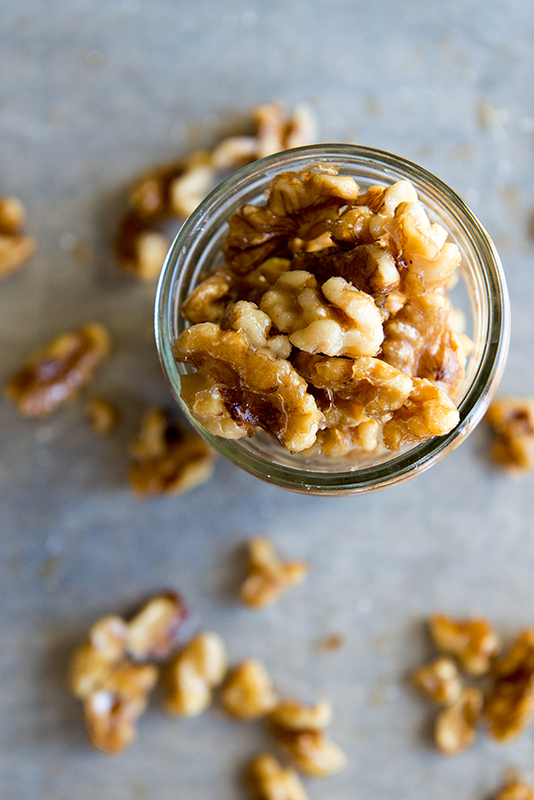 Combine all ingredients together in a bowl and toss with hands to coat walnuts evenly. Transfer to baking sheet and spread out in a single layer. Bake in oven for approximately 10 minutes. Remove from oven and allow to cool. These croutons are great for a snack or on top of any salad but especially a Caesar Salad. I found they lost their lightness and crunchiness if I tossed them into the salad, so placing them on top is the best!